Noticed something? 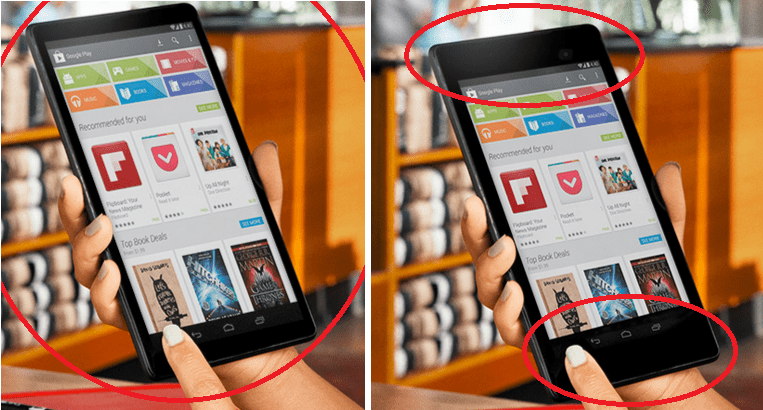 Roll your eyes towards the edges of both the tablets.Google Nexus 8 (rumoured) on the left side shows a fully wider bezel with a noticeable increase in screen size while on the other hand we have 2103 edition Nexus 7 with less wider bezel. A mistake by Google might be some authentic leak for us, Lets wait for more to show!